Payroll Advisor in Spain - CasitaWeb! In times in which the optimization of costs becomes one of the main objectives of any company, outsourcing - payroll outsourcing is presented as one of the main pillars to make profitable the day to day of the Department of Human Resources and the companies in general, thus being able to focus on your business. The main advantage of outsourcing the management of Payroll Consulting services in Spain and Personnel Administration is that, with it, the company focuses its work and strengthens the strategic competencies of the human resources area. Human capital is undoubtedly one of the most valuable assets for a company and therefore, with an adequate outsourcing of the work area, you can obtain the safety, tranquility and profitability of the personnel that make up the company. Greater investment of time in the key activity of your company to achieve a differentiating competitive advantage, achieving a better evaluation of efficiency. Reduction of expenses in management and supervision resources, optimizing resources and saving costs. Greater performance of the factors used, having the latest technology without additional costs, software updates or new licenses. Substitution of fixed expenses for variable expenses, since they do not have their own HR department, these expenses are reduced, and the cost will depend on the number of payrolls of the moment, without having to carry labor cost burdens or unnecessary commitments. Improvement and development of the total quality of the internal processes of your company, achieving greater centralization in the execution of strategic business activities, giving greater competitiveness to your business. Reduction of risks, both legal and operational and technological for the company, with a specialized and continuous service, establishing constant communication with specialists in the field. In the calculation and regularization of% IRPF workers, and the presentation of models 111 and 190, etc ... There are cases in which the worker asks you to apply a retention rate different from the agreed, or for contracts The appropriate percentage is not applied in an annual calculation, and the Treasury ends up claiming the difference from the Company in case the employee does not make the declaration of the rent. 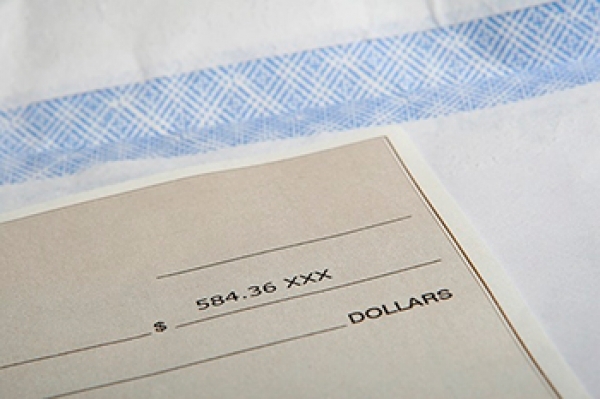 In these cases, in addition to claiming the difference between what has been withheld and what should have been withheld from the worker, a surcharge applies to the figure in question. Being up to date with Bonuses / Reductions to Social Security and taking advantage of them. Many times the company has at its disposal discounts and reductions of fees for hiring or conversion to indefinite and for lack of information do not apply. It is important to work with a company that, prior to hiring, will advise you on the contracted profile and the most beneficial type of contract, as well as the conversion of any of the current contracts. At the time of employee dismissals or conciliations, it is necessary to have professionals who advise and assist you in Labor Inspections, as well as the SMAC (Mediation, Arbitration and Conciliation Service). And above all when you need to make an Employment Regulation File (EREs), or a salary deduction ... it is essential to have an experienced team that manages it in an optimal way. Outsourcing payroll Consulting services in Spain to professionals and experts in the field is a very important factor, given the advantages that this entails. At times when the templates, due to the vagaries of the economic situation, may undergo frequent modifications, with more or less notable variations of the workload in administrative management, an external provider will easily adapt their processes and resources at all times. Likewise, an adequate outsourcing will suppose an optimization of business costs without suffering a loss of service. By way of conclusion, perhaps in other times the management of payroll was a process more or less simple or mechanical, now things have changed. Technological advances increasingly favor the interconnection between companies and the Administration, which sometimes requires investments of some consideration in increasingly sophisticated software and training. On the other hand, it is necessary to constantly update legislation and labor regulations that require certain specialized knowledge. Remember that all these tips are not only for large companies, we are talking about entrepreneurs, micro SMEs and SMEs.